The February book, picked by Maile, was a pretty freakin' cool book. 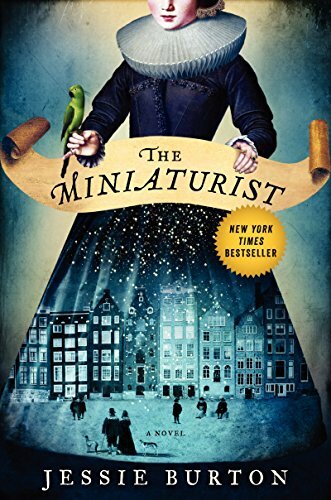 When we met, I hadn't finished it yet, (I finished it in the couple of hours after the get together), so I asked that they not spoil who the miniaturist was or any part of that plot line. There are so many things going on this book though, we had plenty to talk about. This book is inspired by a real woman's miniature house. Petronella Oortman was a real woman, and you can click here to read more about the real lady. Jessie Burton based this work of fiction on imagining a mystery surrounding how her fictional version of Nella and how she obtained her miniature representation of the life around her. JUST SELL THE DAMN SUGAR, GAH! That last one was the sentiment we all had after reading the book. March's book is Annie's pick.